End of family's careers on rural routes prompts a look back at one county's history of R.F.D. The problems of the U.S. 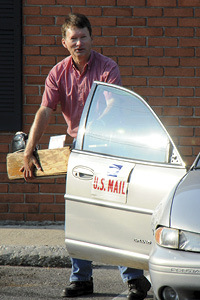 Postal Service, reflected by its listing of more than 3,700 post offices for possible closure, has prompted rural newspapers to publish stories about the post offices and rural residents' relationship with the mail, which is a larger part of the infrastructure in rural America, this writer told the Postal Regulatory Commission almost a year ago in opposing the end of Saturday delivery. That relationship can be personal, as this writer's brother illustrated in this week's edition of the Clinton County News in Albany, Ky.: "An era in Clinton County that began 70 years ago when Leonard Little started carrying the mail on Rural Route Two ended on Wednesday, August 31, 2011, when Harold Little [in photo] pulled into the Albany Post Office lot for the last time in his official capacity of rural mail carrier. No more does a Little carry the mail in Clinton County." 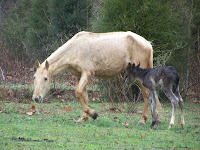 The story not only recounts the history of the Littles and the mail, but many of the other rural carriers in the county. going back to 1924, when it first got Rural Free Delivery and "the county was dotted with post offices every few miles," David Cross writes. "The RFD system was created by Congress for the convenience of the rural people and it was the major contributing factor to the demise of the rural post offices." This is a story that is surely replicated elsewhere, and now's a good time to tell it. To read my brother's article, click here. Many Kentucky school districts are reportedly opting out of a new federal pilot program that provides free breakfast and lunch to all students attending schools where poverty rates are high. They say budget constraints, fear of losing other federal benefits, and the possiblity of having to raise taxes to maintain the program are keeping them from participating. Kentucky, Tennessee and Illinois were the three states chosen to implement the program first. When the U. S. Department of Agriculture announced the Community Eligibility Program in March, officials called it a way to eliminate red tape for school districts and "make it easier for low-income students to receive meals in the National School Lunch and School Breakfast program." Districts would provide free meals to all students for four years, then claim reimbursement for them, as they do for students who already receive free or reduced meals, reports Heather Webb of the Salyersville Independent. Webb reports that officials of the Magoffin County Schools said they are not participating because they want "see how the program works in the districts that do participate." The reimbursement rate outlined in the program is less than normal rates, and in the county, it would cause the current rate of 86 percent to drop to 47 percent. Of Kentucky's 174 school districts, 102 are eligible for the program. However, only 18 of those eligible districts were participating when most started classes in early August, The Licking Valley Courier (which is not online) reported in its Aug. 11 edition. It said the Morgan County Schools declined to take part because they would have to pay 25 percent of the cost and feared they might have to raise taxes to cover that. Bailey Richards of the Hazard Herald reported that schools who do not have more than 60 percent of their students receiving free or reduced lunch can still participate in the program, but the respective school boards will have to pay the difference to cover all students. Perry County Schools Food Service Coordinator Linda Campbell told Richards her district could not afford to pay that difference, which would amount to about $300,000 a year out of its general fund. Hazard Independent Schools Supt. Sandra Johnson told the Herald that she feared her district would lose funding from other government programs, like federal Title I and state Family Resource Centers, which depend on the exact number of students receiving free meals, if they could no longer keep track of those numbers. Thursday President Obama presented a new jobs plan to a joint session of Congress and the nation. While there was little mention of rural America, several of the proposals could have a rural impact. Or not. Obama's plan could save an estimated 280,000 education jobs, Alyson Klein of Education Week reports. K-12 schools could get almost $25 billion for facility renovations. From that "the largest 100 districts would get direct grants and states would have until Sept. 30, 2012 to decide how to distribute the remaining money. "Half of the construction money would be competitive, with special priority for rural schools, and the rest would go out by formula," Klein writes. Violence has become the norm in the forested mountains of California, where illegal marijuana crops have infiltrated isolated stands of Douglas firs and redwoods often only visited by scientists, foresters and hikers. The violence became pronounced after the recent shooting death of retired forester and Fort Bragg City Councilman Jere Melo by a known pot grower, reported Sam Quinones of the Los Angeles Times. Quinones writes that growing accelerated after Georgia-Pacific Corp. closed the town's paper mill in 2002, taking hundreds of jobs with it. 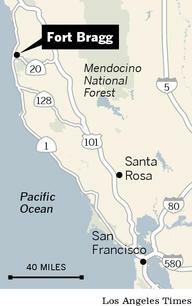 After California's medical marijuana law passed, a "Green Rush" was sparked, as growers were enticed from as far away as Mexico to move into the area's forests, which had already been a major pot-producing area because of its "isolation, good weather and laissez-faire culture," the Times reports. Add Kentucky to the list of states, like South Dakota and Oregon, suffering budget cuts to their cooperative extension services. Funding for the service in Kentucky has decreased about 9 percent, from $13.5 million in 2008 to $12.3 million in 2011. The shortfall has left 31 vacancies among 411 county agent jobs. Two years ago, there were 20 vacancies, Jimmy Henning told Bruce Schreiner of The Associated Press. Henning is the associate dean for extension in the University of Kentucky College of Agriculture. The peak number of vacancies, 60, came in 1994, Henning said. The Center for Rural Affairs and Leadership Consulting Associates, a new organization that focuses on developing rural leaders, are partnering to offer leadership training to rural community leaders. Seven leadership experts will provide training on leadership styles, short and long-range planning, generational communication, adaptive leadership, understanding conflict, vision and mission creation, initiating change, and ethical decision making to rural communities nationwide. NewPage Holdings Corp., North America's largest manufacturer of coated paper, has filed for Chapter 11 bankruptcy, a move that could affect employment in Wisconsin, Michigan, Minnesota, Maine, Maryland and Kentucky, home of its southernmosst plant, on the Mississippi River near Wickliffe. The company has entered into talks with J.P. Morgan Chase & Co. and Wells Fargo & Co. to obtain a $600 million loan to remain open during their Chapter 11 bankruptcy protection, reports Mike Spector of The Wall Street Journal. 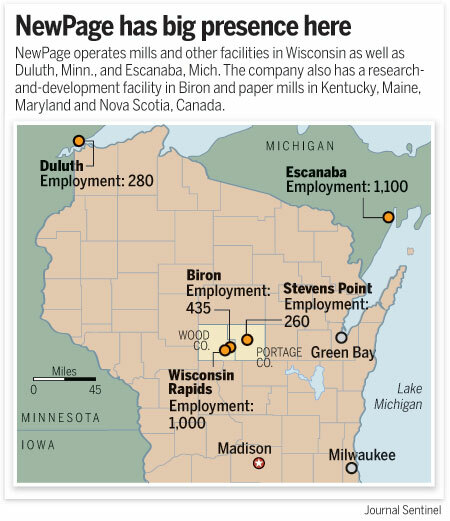 The jobs of those currently working at paper mills owned by NewPage are at stake, and with them, the fate of local economies where these mills operate. Romell writes Wisconsin has a lot to lose because paper making is a key industry in the state. However, in a statement the company released, NewPage vows to keep open their U.S. operations through the company's bankruptcy restructuring process. The march of the stink bug continues, spreading its destruction of crops and trees into North Carolina. The brown marmorated variety of the bug was spotted in the mid-Atlantic region in April, creating problems for the region's farmers. Over half of the crops in Virginia, eastern West Virginia, Maryland, Delaware and south central Pennsylvania were lost in 2010 due to the stink bug's appetite for various fruit and vegetables according to farmers in those states, reports Alicia Roberts of the Charlotte Observer. "It's where a small amount of damage has a pretty big economic impact," Jim Walgenbach told Roberts. He is a researcher at North Carolina State University's Mountain Horticultural Crops Research & Extension Center. With money from the Appalachian Regional Commission and some of their own, three very different Kentucky universities will collaborate "to enhance sustainable, collaborative dental health education and care" in the state's eastern coalfield, where both are sorely lacking, they announced in a press release. Morehead State University, the private University of Pikeville, and the University of Kentucky's College of Dentistry will design the Appalachian Rural Dental Educational Partnership Plan "to train more dentists to practice in rural areas and give them the tools necessary to set up thriving dental practices in Eastern Kentucky," the release said. The funding is $400,000 from ARC, $127,293 from UK, $82,035 from UPike and $47,873 from Morehead State. “The majority of Eastern Kentuckians have struggled to sustain quality dental health, and one of the barriers to maintaining good dental health is poor access of quality dental care,” state Department for Local Government Commissioner Tony Wilder said. His agency handles ARC matters in Kentucky. Fewer U.S. adults are smoking and daily smokers are smoking fewer cigarettes, according to a new report by the Centers for Disease Control and Prevention. The report shows the number of smokers declined from 20.9 percent in 2005 to 19.3 percent in 2010. To see your state's percentage, click on the map below. County-by-county percentages will be available later. The percentage of U.S. adults smoking nine or fewer cigarettes per day increased to 21.8 percent in 2010 from 16.4 percent in 2005 and the number smoking 30 or more cigarettes per day fell to 8.3 percent in 2010 from 12.7 percent in 2005. The U.S. Postal Service must change, but the solution to its financial problems "cannot be to push mail out of the system," or to "abandon small-town America," National Newspaper Association Chief Executive Officer Tonda F. Rush told the Senate Committee on Homeland Security and Governmental Affairs today. Rush said the lobbying group agrees that the service needs relief from "the way payments into benefits systems have been structured," and that it has "excess capacity," but she said closure of mail sorting facilities is "already affecting delivery of community newspapers that depend upon the mail, citing examples of subscribers lost because mail is being trucked into distant cities for processing," NNA said in a press release. "It makes no sense to transport newspaper bundles from a small town into an urban flats sorting center just to bring them back again unsorted," Rush said. 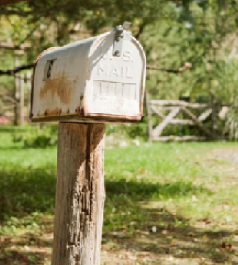 NNA, comprising mainly papers that rely on the mail, does not oppose closing small post offices, but Rush said the service may not be counting revenue from newspapers when deciding which offices produce too little revenue to keep open. And she reiterated the group's opposition to Saturday mail delivery. "We have made it clear that if the Postal Service will not deliver our newspapers on Saturdays, we need the help of Congress to make sure we can do it ourselves," by allowing newspaper carriers to use mailboxes, she said. The U.S. Postal Service's plan to close more than 3,500 post offices made its problems more of a concern for rural Americans, and the concern may increase as the service nears what would amount to bankruptcy and renews its efforts to persuade Congress to eliminate Saturday mail delivery. U.S. Sen. Susan Collins of Maine, "like many lawmakers from rural states, vigorously opposes ending Saturday delivery, which would trim only 2 percent from the agency’s budget," reports Steven Greenhouse of The New York Times. "Collins, the ranking Republican on the committee overseeing the postal service, said the cutback would be tough on people in small towns who receive prescriptions and newspapers by mail." Collins told Greenhouse, “The postmaster general has focused on several approaches that I believe will be counterproductive. They risk producing a death spiral where the postal service reduces service and drives away more customers.” She and Sen. Tom Carper, D-Del., chairman of the committee, favor "recovering around $60 billion that some actuaries say the agency has overpaid into two pension funds. Although the Obama administration is working closely with the senators to find a solution, it has signaled discomfort with the pension proposals, questioning whether the postal service really overpaid. Meanwhile, Rep. Darrell Issa, the California Republican who is chairman of the House Oversight Committee, says the pension proposals would amount to an unjustifiable bailout that would not solve the agency’s underlying problems. He is pushing a bill that would create an emergency oversight board that could order huge cost-cutting and void the postal service’s contracts — a proposal that not just the unions, but Senators Carper and Collins oppose." "Farmers and landowners have long counted on getting a government check every year regardless of how profitable they might be or whether they even planted a crop. But those checks may soon be a lot smaller -- or disappear altogether. A congressional super committee that is charged with writing a plan this fall for slashing the federal budget deficit is widely expected to target those payments," known as "direct payments." Brasher continues, "Farm lobbyists and their allies in Congress are scrambling to come up with a new and cheaper way to subsidize growers, one that would provide payments when crops are poor or market prices collapse. The threat to the payments is so dire that even the cotton industry, which has long resisted cutting them, is now looking at alternatives. The ideas being tossed about include taking money that now goes to the annual payments and using it to sweeten the federal crop insurance program." There, in the story's initial paragraphs, are the main cards in play. Deeper down is an underlying reason for change, which Brasher dregded up from a hearing last year: "The goal of income parity of farm people versus urban people has been achieved," Purdue University agricultural economist Otto Doering said at a hearing on farm policy. "Our chief concern now should be volatility." There are 19 more paragraphs, all worth reading if you care about agriculture or have readers, viewers and listeners who do. Go here.